EFF and 23 other civil liberties organizations sent a letter to Congress urging Members and Senators to oppose the CLOUD Act and any efforts to attach it to other legislation. The CLOUD Act (S. 2383 and H.R. 4943) is a dangerous bill that would tear away global privacy protections by allowing police in the United States and abroad to grab cross-border data without following the privacy rules of where the data is stored. Currently, law enforcement requests for cross-border data often use a legal system called the Mutual Legal Assistance Treaties, or MLATs. This system ensures that, for example, should a foreign government wish to seize communications stored in the United States, that data is properly secured by the Fourth Amendment requirement for a search warrant. The other groups signing the new coalition letter against the CLOUD Act are Access Now, Advocacy for Principled Action in Government, American Civil Liberties Union, Amnesty International USA, Asian American Legal Defense and Education Fund (AALDEF), Campaign for Liberty, Center for Democracy & Technology, CenterLink: The Community of LGBT Centers, Constitutional Alliance, Defending Rights & Dissent, Demand Progress Action, Equality California, Free Press Action Fund, Government Accountability Project, Government Information Watch, Human Rights Watch, Liberty Coalition, National Association of Criminal Defense Lawyers, National Black Justice Coalition, New America's Open Technology Institute, OpenMedia, People For the American Way, and Restore The Fourth. Allow foreign governments to obtain information that could pertain to individuals in the U.S. without meeting constitutional standards. 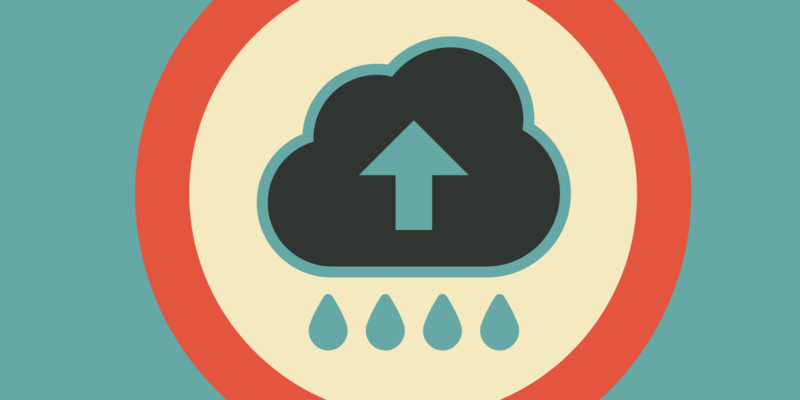 You can read more about EFF’s opposition to the CLOUD Act here. The CLOUD Act creates a new channel for foreign governments seeking data about non-U.S. persons who are outside the United States. This new data channel is not governed by the laws of where the data is stored. Instead, the foreign police may demand the data directly from the company that handles it. Under the CLOUD Act, should a foreign government request data from a U.S. company, the U.S. Department of Justice would not need to be involved at any stage. Also, such requests for data would not need to receive individualized, prior judicial review before the data request is made. And under the bill, the president could agree to enter executive agreements with countries that are known human rights abusers. Troublingly, the bill also fails to protect U.S. persons from the predictable, non-targeted collection of their data. When foreign governments request data from U.S. companies about specific “targets” who are non-U.S. persons not living in the United States, these governments will also inevitably collect data belonging to U.S. persons who communicate with the targeted individuals. Much of that data can then be shared with U.S. authorities, who can then use the information to charge U.S. persons with crimes. That data sharing, and potential criminal prosecution, requires no probable cause warrant as required by the Fourth Amendment, violating our constitutional rights. The CLOUD Act is a bad bill. We urge Congress to stop it, and any attempts to attach it to must-pass spending legislation.